This is long post because there’s a CPS info sheet at the end. I think we’ve discussed many of these points, but it’s interesting to see how the budget issue is heating up in the media. Today, Eric Zorn, from the Tribune (who has 2 kids in CPS) wrote a column openly criticizing CPS for now sharing the school budgets and/or revealing the extent of the budget cuts. “And in some cases illusory. In our conversation later Tuesday, Carroll said, “By the time this process is over, the overall impact on classroom learning will be very minimal,” though she also noted that “there will be winners and losers” among the schools. She said it would require too much staff time to post a complete, regularly updated list of those winners and losers given how often the internal numbers change. Nonsense. The way they’re doing it now, keeping parents guessing and wondering if it’s time, at last, to move to the suburbs? Putting teachers and support personnel into professional limbo while moving money from column to column? “Audubon’s LSC is one of several councils across the city who have also rejected their 2013-2013 budget, including Blaine, Kellogg, and Edgebrook. Simultaneously, I got this fact sheet from CPS this morning. I think we’ve seen many of these point made already, although I did notice that this mentions that LSCs cannot reject their budget, that the principal must come to an agreement with the LSC. • Student Based Budgeting (SBB) represents 50% of every school’s budget and includes funding for all core education programming (such as the Full School Day or Full Day Kindergarten) and classroom positions. Funding is based on the number of students in each school. All schools are provided a per-pupil rate for every student based on their grade level and whether they are a high school or elementary school student. Most major Districts either use SBB or are moving to SBB as it provides a fair and equitable means to fund all their schools – no two schools are treated differently under SBB. • SBB will give principals unprecedented control over how to spend core education dollars, allowing them to create their own education budgets and staffing plans in a way they believe will best meet the academic needs of their students. • The remaining 50% of a school’s budget is made up of Supplemental General State Aid (SGSA), Title I programs, English Language Learners (ELL), Magnet, International Baccalaureate, Bilingual, and STEM programs. It also consists of operations funding outside the classroom, including money for transportation, security and nutrition services. These funds are completely separate from SBB. • All school-based budgets are currently draft and are not yet final. Some schools will see increases this year, while others will see decreases, which will be driven by enrollment, poverty levels, students with special needs, the District’s budget crisis and other several other factors. • CPS is poised to use one-time funding available in our reserves, reductions in Central Office directed spending, and other sources to close the $1 billion deficit in order to keep cuts as far away from the classroom as possible. However, we will not be able to avoid reductions. • CPS faces a historic $1 billion in FY14, which is being driven by a new $400 million pension payment. During this past legislative session in Springfield, CPS worked tirelessly to pass meaningful pension reform which would save the district hundreds of millions of dollars in this upcoming fiscal year and give us the funding needed to prevent impacts on our schools. • However, when session ended on May 31st, the legislature in Springfield adjourned without an agreement on how to address our pension crisis. Our leaders in Springfield have pledged to work throughout this summer to address the state’s own pension crisis and Mayor Emanuel, the Board of Education and CEO Byrd-Bennett will continue to seek similar pension relief for CPS. • In the absence of pension reform, CPS CEO Byrd-Bennett has directed her financial team to continue to identify additional cost saving opportunities throughout the system in order to restore as many classroom dollars as possible. • CPS has cut Central Office spending by nearly $600 million since 2011, and is eliminating another $52 million next fiscal year to keep cuts as far away from the classroom as possible. CPS will continue to do everything possible to minimize the impact on schools to reduce the historic $1 billion deficit facing the District next fiscal year. However, some impact on the classroom cannot be avoided altogether. • A school’s budget is driven by many factors, such as drops or increases in enrollment, the number of students at the poverty level, the number of students with special needs and others. These are factors that occur every single year and can significantly impact how much funding a school may receive. • A school may also see a reduction in their budget that doesn’t necessarily mean the service or program has been eliminated, as some programs and positions may be moved from schools to the Central Office. This change will be reflected as a reduction in a school’s budget, but those dollars have simply been shifted to Central Office; however those services or positions may remain in place. For example, in FY14 engineering positions are being moved to Central Office in order to create a more efficient system that will save the District money, but schools will still receive all the engineering support they need. Those positions and the money to support them will no longer be in school budgets, but the services will remain intact at each school. • Claims that STEM and IB funding have been cut are false. • LSCs do not have the authority to reject CPS’ funding allocation to schools under Illinois state code. o Continued failure results in CEO appointment of “financial supervision team” to create a budget based on district’s funding allocation. • The use of TIF dollars to fund schools projects has enabled CPS to reduce the amount of debt it has had to issue and the use of operating dollars that would have been used to pay down that debt. These resources can be used to fund CPS operating costs while still allowing capital projects to move forward. More than $900 million in TIF dollars have been committed to CPS school construction. • Eliminating TIFs would not generate substantial new revenue for CPS as property tax caps on CPS severely limits its ability to tax new property tax revenue. • Interest swaps, which are competitively bid, have allowed CPS to reduce its interest costs on debt by approximately $70 million. CPS works with banks to reduce the rates it pays on money it has borrowed, similar to how a homeowner who refinances a mortgage to a lower interest rate will save money on a mortgage payment. Renegotiating swaps would signal that CPS can’t pay its debt and would cost the District more money in the long-term. If IB fund cuts are false, tell me why Taft H.S. in which the mayor himself showed up for & made news for it to become a wall-to-wall IB lost $3 million dollars? What CPS is doing is absolutely senseless. I just can’t believe how much the mayor and CPS are getting away with inhumane decisions towards its constituents. They need to change their current logo/motto of “Children First”. My school lost 2.5 positions. The ESL teacher position is gone. Teachers with ESL endorsements must now be responsible for those students in their class. The test required for those students needs to be administered – responsibility of the classroom teacher. When is there actual time to teach? There isn’t. It is now all about standardized testing & teaching to the test. Data, after data, after data…waste of money. Waste of good education. Wasteful use of useless resources for Common Core & standardized testing. Pearson, TFA, NWEA, PARCC, Wireless Generation, CPS REACH – all wasted money. Oh, why is it charter schools are getting more money? How come those schools’ progress aren’t as transparent? Many don’t even amount to other CPS schools. It all comes down to the rich, the 1% that donate their money for the pure reason of profit. The mayor of Chicago is selfish & greedy. His kids are getting world class education that goes against most of the ideas he is putting forth on Chicago students – what a walking contradiction. He promises those students a world class education. He lengthened the school day and the school year, didn’t he? He’s also cutting funds & forcing principals to make the choices. Administration are already being pitted against by public. But there’s money for TFA, hiring for Safety Program & 245? movers to move & clear out the schools set for closing. Just really sad. “CPS CEO Byrd-Bennett has directed her financial team to continue to identify additional cost saving opportunities throughout the system” ~look no further B3~have Rahm declare a TIF surplus to fund the schools~it’s the BOE’s responsibility to fund education and provide the correct allocations to the principals! So look no further~tap Rahm’s BILLION TIF! Our state income tax rate was increased 67% a few years ago and now Cook Country property taxes just went up 12%. At some point these politicians are going to run out of other people’s money. The student’s parents are free to provide additional funding to the school if they believe more money is the answer. Some of the highest paid teachers in the country along with the highest drop out rates and worst test scores. How about cutting administrative staff and cutting teachers pay and benefits? Come on, it’s for the children. Our state income tax went up temporarily to 5% after being at 3% for years. Here are some rates of nearby states for the upper brackets: Iowa- 8.98%, WI – 7.75%, MN – 7.8%, MO-6%. Our flat 3% tax rate did not help bring in enough funding for education. Our state only kicks in about 30% of what it takes to educate a student and the flat tax also leads to a regressive set up that relies heavily on property taxes. You seem to have left out a couple of nearby states: Indiana 3.4% flat rate, Michigan 4.35% flat rate. Yes, true. Even those states had a higher rate than us. Detroit not exactly a model (around 40% charter now?) and IN doing lots of privatizing of ed. I also think it’s interesting that Pennsylvania has a flat 3% state income tax and just closed 23 schools and decimated school budgets and is not a poor state by any means, just like IL. Wendy, I can’t tell you how much I appreciate the work that you do. Those tax rates are very interesting. Especially Minnesota and Wisconsin, both widely known in education circles as being at the top end of quality in the U.S. I’m not a fan of throwing money at things without a plan, but money is a huge factor in educational success. Ben Jarovsy from The Reader posts about a petition against the money to be spent on the DePaul arena/hotel. I didn’t realize a hotel was part of that. Does chicago really need a another hotel to the point of using TIF money to make it happen? MN & WI have a legacy of being smart with social programs. Maybe not so much in WI anymore. In the past, we considered moving to those states. What happens when the LSC rejects their budget? Do they end up with nothing? No, they still get the same amount that was originally given, but instead of the school having a say in how it is spent, the network comes in and decides what will be cut, if there’ll be split grades, which specials will be lost and how many homerooms will be lost and how much, if any, money is left for materials. The principal and the LSC then lose the tiniest measure of control they had. @12- I don’t think the law is that clear on what happens if an LSC does not approve a school’s preliminary budget-which is what we all have right now–preliminary budgets. That hasn’t happened at any of the schools that have not approved their budgets this year, to my knowledge. I don’t see how/why a principal would lose control over the budget b/c the LSC vote. The principal doesn’t control the LSC. Yes it does. Hotels are large employers of skilled and semi skilled workers as well as management level employees and since they are a 24/7, 365 days a year business and probably employ more people per square foot of land than most others. Also don’t forget that the city now has a coordinated effort to educate and supply hospitality workers – the Hospitality Track available through the expanded IB programs as well as the re-vised emphasis on hospitality management at the City College system. TIFF’s are critical as the last part of improving education outcomes. Jobs are the carrot at the end of the stick. I’m glad we finally have a smart approach to fixing poverty in Chicago. @13, I’ll double check with my union rep on this. My principal told our LSC that if there was no approved budget by June 26th (our network’s deadline) that it would go straight to the network and we’d lose all decision making power over staffing and other things. I also swear I’d read something in blue text somewhere about this. Maybe it was in a CTU email or maybe it was in an email. I can’t remember for the life of me. I’ll keep searching. I’ve been wrong before and as well, it wouldn’t be the first time CPS has told different people completely different things. I think the reason for the deadline was because of staffing issues. A principal has to have LSC approval to on the budget and that can include redefining positions (as I understand it) and has to have approval to cut certain things. And then the budget has to go to HR, because then they have to go down the list of federal and state requirements for certifications, and staffing for bilingual and sped kids, and have to look at which staff members have which certifications. Then, they figure out which teachers lose their jobs and which keep them based on certifications, then ratings and seniority. All this takes weeks and I believe they are trying to get all that figured out by mid-July, so principals have time to both fire staff and have those staff members take their personal belongings out of the building and hire new staff before mid August when school starts for staff. 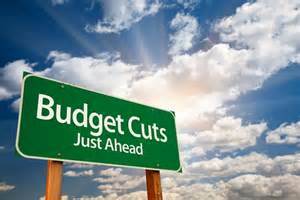 So, the idea was, if the budget wasn’t approved by the end of June, then the network was just going to decide what was cut and what wasn’t in order to get it all done in time. The principal would lose control over the budget because of network requirements, not because he or she does or doesn’t control the LSC. The only way around this could be what some LSC’s did, was when they “rejected” the budget, they also stated that they’d support whatever the principal felt he or she needed to do (meaning, submit the budget). So, if the principal submitted the budget in some form, then its submitted, the LSC just handed the choices over, in a sense, they did approve the budget through saying they’d support their principal’s choices. The rejection of the budget by LSC’s, assuming the principal didn’t just throw up her hands and say forget it, is symbolic only. Again, I’ll check with my union rep and report back when I get details. I think CPS is right about what happens if the LSC fails to approve a principal’s budget. The School Code will talk more about it. First, an advisor helps. If that fails, then CPS appoints someone. On the TIFs, someone drank the Kool Aid. About $160 million in 2012-2014 TIF funds will be spent on current obligations and potential projects. But almost $1.4 billion in property tax revenue was collected by TIFs in the same period. Given that CPS would get 52.7% of that revenue, that means that CPS would have received at least $723 million. Now I don’t know what math curriculum they use at CPS’ public relations office, but that shows that CPS would have roughly $560 more over FY12-FY14. No maybe $180 million per year is not a lot, but if it is not much, give CPS an extra $180 million this year. According to my union rep, in theory, Chris Ball’s take (on school code, advisor then CPS appointee), is correct and the info my principal gave us was also correct. Basically, it depends where and when and if the BOE decides to follow school code, which it often does not. And the BOE was also highly pressuring principals to pressure their LSC’s to approve budgets of some kind so hiring and firing can be done before the end of August. I know some schools have LSC’s that actually influence things, but mine only kind of does. Our LSC does whatever the principal says and the principal is highly influenced by one of our teacher reps. Our saving grace is that this teacher rep always seems to find a way to do what is in the best interest of staff and students. Interesting Letter to the Editor from a teacher at WY. In my 18 years teaching at Whitney M. Young Magnet High School, I have seen many education programs come and go, but I have never before experienced such a systematic dismantling of public education as under our current mayor. After closing 50 schools, Mayor Rahm Emanuel and Chicago Public Schools CEO Barbara Byrd-Bennett are bulldozing through the remaining schools with catastrophic, last-minute budget cuts. My school alone will lose more than $1 million. Mayor Emanuel has said he is giving the principals more flexibility by allowing them to decide on the specifics. This is not flexibility, but a shifting of blame. Budget cuts at schools mean firing faculty, security personnel, diminishing course offerings, and forgoing substitute teachers in favor of having students spend that class period sitting in a gymnasium. Supplies are slashed as well, and students will have more study halls instead of increased instructional time. The reduced class time is especially ironic, given the mayor’s ongoing preoccupation with the longer school day. At the same time the mayor tightens the schools’ budgets, he allocates $55 million in TIF funds for DePaul’s proposed stadium and Navy Pier’s renovations. Shouldn’t our children’s safety and education come before these projects? The stadium and the pier are luxuries. Education is a constitutional responsibility of our democracy. It feels like the real agenda in this administration’s closing and disabling of schools is to drive families to charter and private schools. This seems like a sell-off of the educational system. But Emanuel has already sidestepped blame by giving the principals the dirty job of implementing his budgets. @20. cpsmommy: Shifting blame is the perfect title for this letter, because that’s exactly what that teacher is doing. If Ms. Wax wants to blame someone for the cuts to education, she should look in the mirror. Correct me if I’m wrong, but if 3% teachers’ raise for this year is estimated to cost 75 millions, then 7% pension pickup would cost CPS another 175 million. I think when all said and done, the total budget cuts for the schools will be pretty close to the amount CPS has to contribute toward the pensions. This was Rahm’s plan all along. Blame the teachers. You have completely bought into his rhetoric. @22. cpsmommy: I was blaming the teachers and other public sector unions long before the budget cuts were announced, and for a good reason. Check the old strike discussion threads. The Tribune said it costs 59 million for the first year’s 3% raise. The following years are 2%. No raises were given in 2012 in spite of a contract. I tried finding the CPS budget online but was unable. If CPS is so broke why are they still hiring? Why are they paying a CO administrator to come from Farmingham, Michigan? @24. Veteran: This article says the new contract costs 74 million. Either way, the situation where the teachers are paying just 2% toward their very generous pensions is not sustainable, and requires the cuts in other areas. As for the school supplies, at my child’s school the parents are given the list of stuff to bring in the beginning of the school year, and then get the requests for more things when the classroom is running low on something or other. We haven’t had to bring the toilet paper yet, but I would not be surprised if they ask for it, too. Teachers–Whether you like it or not, whether it’s deserved or not, CTU and teacher pensions will be blamed for contributing to the mess. Sign of the times. There is no doubt that if, ceteris paribus, the state provided no pensions to teachers, the state budget woes, and CPS’s pension pick-up woes, would be gone. It is also true that if the state and city had contributed their portion every year regardless of the funds performance and had not skipped payments, that the budget woes would also be gone. However, all things would not be equal. In the former case, the result would be obvious: teachers would bargain for higher wages to offset the loss of pensions because teachers would then be individually responsible for their own retirement savings. They would need to cover a risk premium on top of the amount of salary to replace the pension loss. The state and city would avoid obligations down the road, but would have to pay more up-front. #25 Are you aware that at some schools no supply lists go home? The reasons are that there is no money in the home to spend $30.00 per child on school supplies or that a free education is just that ….field trips must be taken to free venues and money for the buses are taken from the school budget. We have two very distinct school systems in one-in one children bring gifts to their teachers at Christmas in the other the teachers bring gifts to the students. Teachers in both pay way too much out of pocket but in one teachers are buying basic supplies-roach spray, kleenex etc. just to be able to teach. @30 Thanks for the link to Karen’s article. There were so many good parts in her post, but is my favorite quote from the article. “Today’s battle has left us shaken and bruised, but most of us had a feeling that it would go down like this. I, for one, feel a bit like Sisyphus. But progressives don’t lick their wounds. We bandage each other and we get up re-energized and ready to get back to work. Unlike the Board of Ed, we aren’t just passing through this gig until something better comes along. This isn’t a hobby, we don’t get paid and it isn’t something with which to pad our resumes. This is our life. We are fighting for the life our children deserve. And really, what could possibly stop a movement based in factual and moral right and driven by a passion for an equitable future for all our children? I like Karen and many others are not giving up. Bravo to all who don’t just complain but take action. You can make a difference. Yes. I’m also aware that these schools get hundreds of dollars more per student in the form of Title 1 money, and that the teachers turned down an offer to be paid more for working in these conditions. CPS needs to increase the supply monies to schools with high poverty…..teachers in these schools do work under adverse conditions so maybe increasing the $250.00 (new this year-used to be 100.00) to $500.00 would help-teachers should not be asked to put this money in a pot to pay for paper and toner. Teachers often buy incentives for the students-stickers, achievement certificates, small prizes,candy and pizza parties at Christmas and the end of the year-not to mention supplies-you add it up. I really don’t know the pros and cons of paying more to teachers who teach in high poverty schools-are other occupations doing this? doctors, cable installers, bankers ? How would children feel knowing that their teachers were paid more because….I’ve heard people say that SPED teachers should be paid more…where would it stop? My most rewarding teaching experience (one where I thought I really made a difference) was in a high poverty school and the experience was priceless. I left when personal safety outside of my classroom became an issue-extra money would not have mattered. I guess I am ambivalent on this issue which not my norm. Angie, you are incorrect. As a teacher 9% of my pay is deducted from each check and contributed to the Chicago Teachers Pension Fund (CTPF), not 2%. I’m happy to share a check stub with you to prove to you that this is true in case you’ve missed or distrust my comments on this blog since I’ve corrected you in the past on this matter. The current CTPF defined benefit plan has been sustainable for many, many decades. It only appears unsustainable at the moment if one ignores the root causes of our current pension “problem”. 3) The decision by the Board of Education of the City of Chicago to use taxes levied specifically for pension contributions not for investment into the CTPF but instead for operating expenses in the 1990s and early 2000s. This is compounded by the Board’s decision to further deny contributions by taking over $1 billion in pension “holidays” since the mid 2000s. C) increase state revenue through a very small financial transaction tax on the billions and billions of annual trades at the Chicago Mercantile Exchange. By the way, state legislators have already significantly reduced retirement benefits for CPS employees hired after January 1, 2011. @28 if the state didn’t provide a pension, then they would be obligated to pay the Feds 6.2% for employer portion of social security and there is no way to take a “pension holiday” from that. Bottom line is that the city and state created this mess. Hi Angie. I’ve read the portion of the contract section you share. Total contributions are 9% of salary. Technically speaking 2% of that is an employee contribution and 7% is an employer contribution. I won’t go into the long history of how or why the 9% gets divided up contractually, but I will try to explain why those divisions are ultimately irrelevant leaving the 9% total as the only meaningful measurement. The employee contribution occurs before taxes and reduces the gross salary that I receive. The 2% contribution will be taxed later. Along with before tax deductions for health insurance, dental, and vision coverage (and some new thingie I don’t recognize) the remaining net salary is taxed. The employer contribution is notated on each paycheck independently of gross salary and is not taxable on the front end. It too will be taxed later. Historically, the 7% and 2% distinction may have made a difference, but not today. In the past, extra work with extra pay meant extra pension contributions from the Board – employees were essentially paid 7% more in the form of pension contributions than they received on a paycheck for that extra work and extra pay. That method of paying for additional work (that work/pay was referred to as “pensionable”) has been gone for some time now. Today, extra work with extra pay results in no change at all in pension contributions. There is no current meaningful distinction between an employee pickup and an employer pickup of which I am aware. I receive a total, annual, monetary compensation package. 9% of that monetary compensation package is contributed to the CTPF. Every penny of of my compensation is taxpayer funded so I think it matters little – actually, not at all – whether it is broken down into employee or employer contributions. I believe that 9% is the only number that really matters. I also think it is sufficient and reasonable provided the city and state fulfill their obligations which they have willfully failed to do for some 20 years now. For the record I am much, much more concerned with receiving my rightful pension than I am with whatever my annual salary is or whatever raises are available (and, unlike in most suburbs, nearly nonexistent for anyone teaching beyond 13 years in the system). Thanlks NBCT Vet. for explaining things so well. You seem to have quite a bit of insight into the inner workings. I posted a question earlier and did not get a response. It is about deferred pay. The Board is eliminating deferred pay. It seems to me that this will cost the Board of Ed money because they will not be earning interest on the money as they did in the past. My back of tne envelope calculations have this at least $1M. I know this is small change in a system so large, but Tim Cawley spoke in front of a group of administrators and vendors recently and said “every million dollars of savings is the equivalent of 12 teachers.” What is your take on this and do you have an opinion as to why this is being eliminated? @39, Yes, the end of deferred pay means the loss of at least a million dollars a year. I have a friend who has said this repeatedly. There is no advantage to the BOE to end deferred pay, other than one reason: teachers who do not get their paychecks over the summer may be less willing to strike come the fall that the contract ends..
CPS cited one primary reason during contract negotiations regarding why they wanted to eliminate deferred pay. In a refreshing moment of honesty (a rare occurrence in my experiences with CPS) they said they just couldn’t get it right and do it well. I can personally verify that assessment – for many years I was paid accurately only about 50% of the time. I lost count of how many hours I spent trying to figure out where CPS screwed up and how to fix it. CPS was unable to accurately pay teachers moving between Track R and Track E. CPS was unable to efficiently and accurately migrate from internal payroll systems to an external private provider. CPS was unable to pay teachers accurately over the summer in part because they always deferred a *constant* percentage from checks for summer pay despite the fact that the length of summers is *variable*. CPS was unable to accurately track the use of sick days and personal business days from year to year. CPS was unable to accurately pay teachers who were working for the district outside of their classrooms while a sub covered their classes. This list goes on and on. I think it is likely that the cost of this incompetence via payroll employee turnover, consulting fees, multiple changes in software, added employee work hours, repetitive but unautomated fixes, the loss of repeated grievances (because grievances since the CTU leadership changed hands 3.5 years ago are always challenged by CPS even when admin errors were obvious), the system wide stress associated with this particular ineptitude, and other factors actually outweighed the $1 million CPS might have earned by temporarily investing deferred monies. I am not usually a fan of Quinn, but way to go Gov! I have a felling the pension issue will get some serious attention now with the above AND the fact that the conceal and carry veto was overridden. I bet that the gun bill was part of an overall behind the scenes pension reform deal. The Republicans got one of the hardest things passed in IL that supports their national agenda (only abortion would have been harder)…………….now the Dems will get a watered down pension reform bill that will keep the state limping along, but not necessarily solve the problem long term. Politics, politics, politics. Here’s an idea. To push the focus on education funding state wide, why not call for the “salaries” that Quinn is suspending go directly to the local schools in the lawmakers’ districts? Everyone, “put your money where your mouth is.” Once education is funded, then they can get paid again but lose the funds to local schools in the meantime. And if CME moves their “exchange” (ie, the servers) and their ‘HQ’ to Indiana (or TX or NY) , what’s that tax going to generate? The pits are basically dead; the ‘trades’ can be ‘relocated’ very quickly. hi cpsobsessed, are you going to put up a new thread on the latest round of >2,000 layoffs related to budget cuts (and in addition to the layoffs related to school closings)? front page of both papers…staff being notified today by principals, according to one of the articles. I can put it up — need *something* to up as I’ll be out of town and not commenting much so either that or something else, if anyone has any ideas…. I do want to make an ISAT post soon but I need to look at some of the data first. @44 Patricia. I believe this is the first time I’ve ever agreed with on e of your posts 🙂 . You should email/call Quinn or start an online petition for your idea. The Mayor also said in his presentation that he would not “preside over a city in which skyrocketing property taxes drive thousands of senior citizens and middle-class families out of their homes – and out of Chicago. After reversing decades of flight from our city, we will not sit back and give up those hard-earned gains.” Based on the Mayor’s speech one would assume the City and School district have really high property taxes. Well that assumption would be simply wrong. According the Civic Federation Chicago has one of the lowest residential tax burdens in the region and very competitive commercial and industrial rates. As far as school tax rates go the rate for CPS is the lowest in Cook County. Those who would get hit the hardest by any property tax increase would not be Chicago’s poorest citizens whose property values are the lowest, but rather the most wealthy Chicagoans whose homes and condos have the highest values. The truth is Chicago’s most wealthy citizens with one million dollar plus properties are getting a tremendous value in their taxes compared to high income suburbs like Lake Forest or Hinsdale. The Mayor’s most recent pension reform plans started in Springfield back on May 8, 2012 when he proposed freezing COLAs for all city pensions, having every city employee pay an additional 5% towards their pensions, increasing the retirement age for all city employees by five years, and moving all new city employees into 401K type plans rather than defined benefit plans. This plan had little legislative support from even members of the Chicago delegation, it had more support from Republicans than Democrats. Then in September 2013 the City began to float a pension payment increase holiday allowing the City to wait until 2022 to begin to meet its obligation to fund pensions at 90%. Currently the Police pension is funded at only at 31% funded and is short $6.9 billion, while the firefighters’ pension plan is only 25% funded and is about $3 billion short. When the CPS tried passing a pension payment holiday it failed in the Illinois House and the City plan is unlikely to do better. The City can’t keep shoring things up with ever increasing fines, more speed cameras, more red light cameras, and various sin taxes. The time is coming soon when Chicago will have to increase property taxes up to the level of most suburban towns. It’s going to be a shock because for so long Chicagoans have gotten a huge break. Maybe then Chicagoans will get on the band wagon for an effort to amend the State Constitution to allow for a graduated income tax that might allow all municipalities and school districts to reduce property tax burdens. If Rod could explain all the daily news to me (both local, US, and worldwide) I think I’d have a much better understanding of what’s going on! More to say on it later… Not sure I agree with every point he makes but he lays it out so simply. Thanks for posting! Thank you, Rod. As usual you are a strong advocate for the children of Chicago.